Item Number: 59-5-02 19117 Actual Weight: 7 lbs. 100% cotton drawstring closes bag tight. Perfect for attaching bags to equipment, parts, and more. 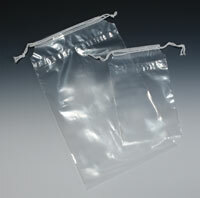 Popular retail choice for packaging jewelry, cosmetics, and candy. Custom printable.